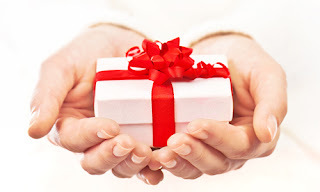 Should TEFL Teachers get their Boss a Christmas Gift? TEFL teachers have the chance to be immersed in the country and culture. Giving gifts are an important part of many cultures. There are a few things to remember before giving Christmas gifts. In some countries, Christmas may not be celebrated, such as in Muslim countries. Or if it is, it's not that big a deal, like in Korea, where gifts are usually given during Chuseok and not during Christmas. When in doubt, ask what the local customs dictate; you don't want to end up committing a major faux pas. Gifts are all about giving; not receiving. Just because you give a gift, doesn't mean that your boss has to get you something in return. Expecting something in return brings us to the next point: bribery. This should be a given, but some people still expect preferential treatment because they gave their boss a Christmas gift. Don't expect to be treated special or that giving a gift will get you that promotion that you've been wanting. This is probably the main reason people don't give their bosses Christmas presents; they don't want people to think they're bribing their boss. If you are going to give your boss a Christmas gift, ask your co-workers how much they usually spend. Spending too much or too little is not good. You don't want to stick out. Remember the nail that sticks out gets hammered down. You want to blend in. Maybe everyone can pitch in and buy your boss an amazing gourmet gift basket. As an adult, you should know whether a certain gift is appropriate or not; however, the company culture also comes into play. Some offices give gag gifts or white elephant gifts. Others do secret Santas. Find out what the norm is for your office and follow it. Speaking of the office, perhaps the safest thing to do is get a gift for the entire office. Homemade cookies are always appreciated. If you can't bake, no worries, there are plenty of delicious store-bought items that you can buy and everyone can enjoy. Food like mixed nuts, dried fruit, coffee cake, and cookies are always a safe bet. Drinks such as a variety box of coffee, tea sets, and assorted hot chocolate are sure to be enjoyed during break times.